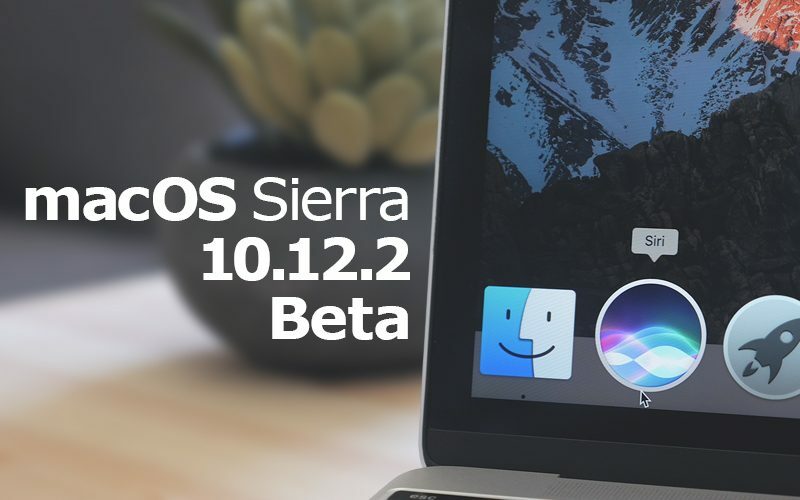 Apple today seeded the fifth beta of the upcoming macOS Sierra 10.12.2 update to developers and public beta testers, one week after releasing the fourth 10.12.2 beta and more than a month after the public release of macOS 10.12.1. The fifth beta of macOS Sierra 10.12.2 is available for download through the Apple Developer Center or through the software update mechanism in the Mac App Store. macOS Sierra 10.12.2 includes new emoji, introducing Unicode 9 characters like clown face, selfie, face palm, fox face, owl, shark, butterfly, avocado, bacon, and more, plus many profession emoji are available in both male and female genders. Apple has also updated the artwork on many existing emoji, adding detail and design elements to make them look less cartoonish and more realistic. New wallpapers are also included in macOS Sierra 10.12.2, introducing the color explosion options that have been used in iPhone marketing materials. There are few other outward-facing changes aside from the addition of new emoji and wallpapers, but the 10.12.2 update also likely includes many bug fixes and performance enhancements to address issues that have surfaced since the release of macOS Sierra 10.12.1. Available since September, macOS Sierra is the latest Mac operating system. It includes Siri support, Apple Pay for the web, Universal Clipboard, Apple Watch auto unlocking, improved iCloud Drive integration, Picture-in-Picture multitasking, and dozens of smaller features that can be found in our macOS Sierra roundup. I'd like to think they're cleaning up bugs and making the OS or efficient. But when all that's mentioned is the emoji's it almost feels like Apple is mocking people who actually want to use their macs for heavy processing tasks (you know ... 'pro' stuff). The new MacBook Pro is the most pro emoji machine out there......apple is leaving the competition in the dust!!! You mean like posting the same shyte on MacRumors again and again? Well, I have so much time during video renders because my macs are so slow, that gives me time to tell people like you on macrumors who prefer form over function why they're daft. - Assigns an artist to illustrate new emoji approved by the Unicode Consortium. - Adds them to the system font a few months later when they're done. - Includes it in the latest system update, along with bug fixes and enhancements. Apple, do you have anything new to offer for the working professional? Thanks for getting it started. The new clown face emoji seems just perfect for the new MacBook Pro. Do any adults actually use emojis? I for one, have never used one ever. Seems like every update is the same thing.... MORE EMOJIS!!!!! Enough already. I am not outraged by them, but I find it outrageous that Apple would devote an update to simply adding more of them. How about some really useful features? I'm sure you and your wife could get by with 100 emojis couldn't you? Do you really need more? Show me exactly where it says emoji are the only thing in the update. I'm 38. My wife and I use emoji. If you don't like them, don't use them. It's as simple as that. Personally, I'd say people who are outraged by the presence of emoji in their OS are less mature than people who use emoji.